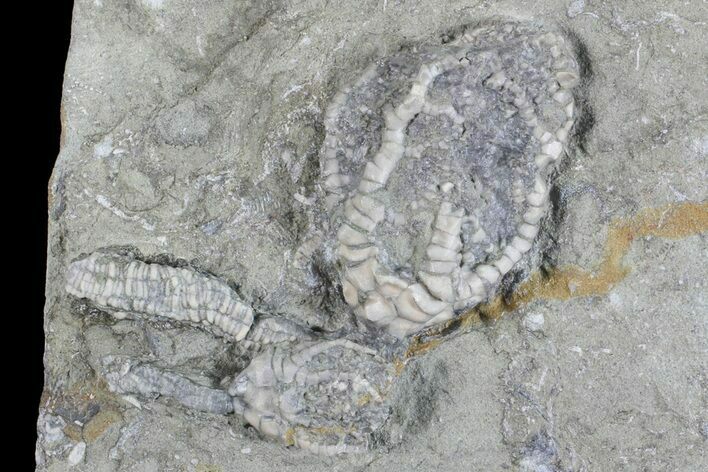 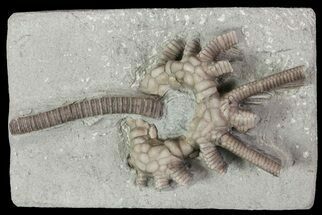 This is a Macrocrinus mundulus and two Barycrinus stellatus crinoids from the famous Witherspoon crinoid quarry near Crawfordsville, Indiana. 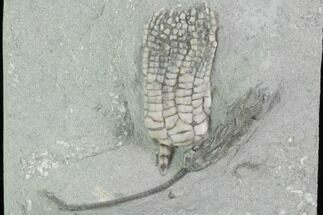 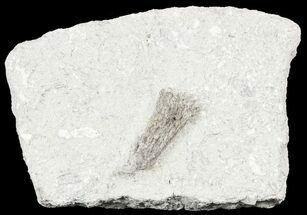 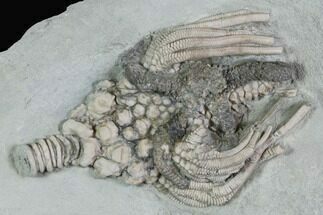 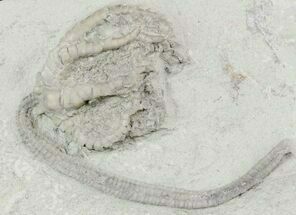 The two Barycrinus crinoids are located adjacent to each other, with the Macrocrinus off to the side. 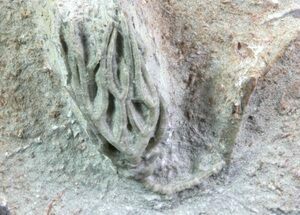 They have been prepared under microscope using air abrasives.